Remember the days of chocolate milk cartons and straws, the sweet afternoon snack, the ultimate cookie and milk combo? Well, chocolate milk is back! Only this time it’s non-dairy and packed with protein and vitamin E. This chocolate “milk” is an almond-based drink that is sweetened with dates, and enriched with cocoa powder, cinnamon, and vanilla extract for a chocolatey explosion. It’s so good you’ll never know the difference between the real thing. This recipe is quite simple, but requires a high-speed blender and some cheese cloth. You could use a strainer if the holes are small enough and you don’t mind chunks, but I find a cheese cloth to be quite effective in achieving the silky smoothness of milk. I use raw, unsalted almonds and soak them for about 4 hours before use. This is so they can absorb a fair amount of water, become easier to work with, and you end up with a rich, smooth milk. 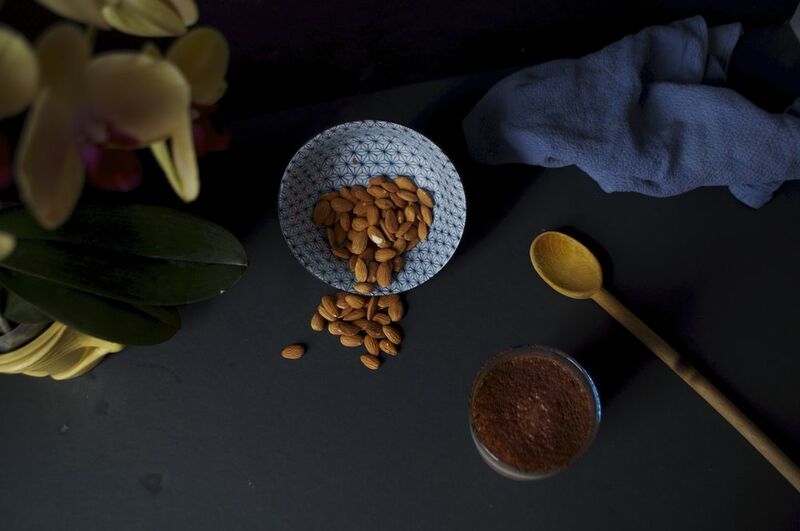 You could skip this step if you wish, but especially for not as powerful blenders, this step is crucial to softening the almond. This recipe is adaptable and you can alter the amount of ingredients. You can add or use less dates to modify the sweetness. If you don’t like cinnamon, you can remove it. If you like the taste of spicy chocolate, adding a little cayenne pepper would be great. One thing I wouldn’t skip out on is the salt, because it brings out all the flavors of the milk. Flavor-wise, I find that the chocolate milk is best after it sits overnight. As the nut milk sits, flavors start to incorporate and settle and the rich taste and texture develops. You can enjoy the milk as it, in just a cup, or it would be great in smoothies, raw desserts (like a cheesecake), ice popsicles, or pudding! 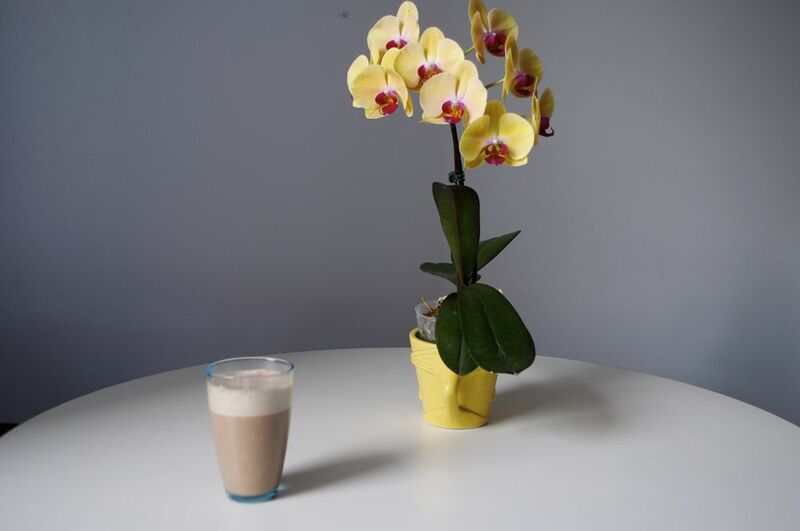 If you are a chocoholic, chocolate-milk fiend, or just want to try something different, then give this recipe a shot! Best part?! It’s vegan and you would never even know it! Just make sure to have fun with it! Enjoy! ***ALSO - keep the pulp! After you squeeze out the water, you can keep the almond pulp and make raw almond cocoa energy bars, add it to pancake or cookie batter, use it in a raw crust, make almond meal, or toast the pulp to top a smoothie bowl. Because the pulp will retain some water after you run in through the cheese cloth, you can dehydrate it by place it in a 150 degree (or as low as your oven can go) oven for 2 hours. The Rising Spoon has a great article on what to do with left over pulp. 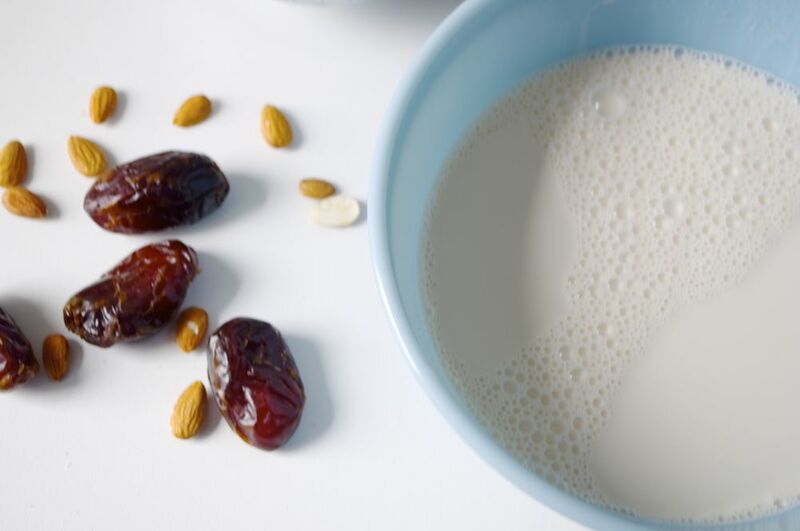 Note: If your blender doesn't hold 5 cups of liquid you make this milk in a few batches, or alternatively, make half of the recipe and use 1 cup of almonds and 3-4 cups water. Place the almonds in a bowl with some water and soak them for at least 4 hours or over night. After they are plumped, drain the water and add the almonds to a high-speed blender with 5 cups of water (see note above if your blender doesn’t hold 5 cups of liquid). Blend until smooth, about 2-3 minutes. Place a cheese cloth over a strainer over a large bowl. Pour the almond mixture, in the cheese cloth and squeeze out the excess liquid. You may need to do this in parts and replace the cheese cloth a few times, as they may tear. Once the liquid has been strained, add the almond milk back into the blender, along with the dates, cocoa powder, cinnamon, vanilla extract, and salt. Blend until silky smooth, about 3 minutes. Refrigerate and serve cold! Lasts up to 3-5 days in the fridge. Enjoy!